On April 20th, Heather Doyle plead guilty to her actions at Dominion’s Cove Point LNG export terminal in Lusby, Maryland on Feb. 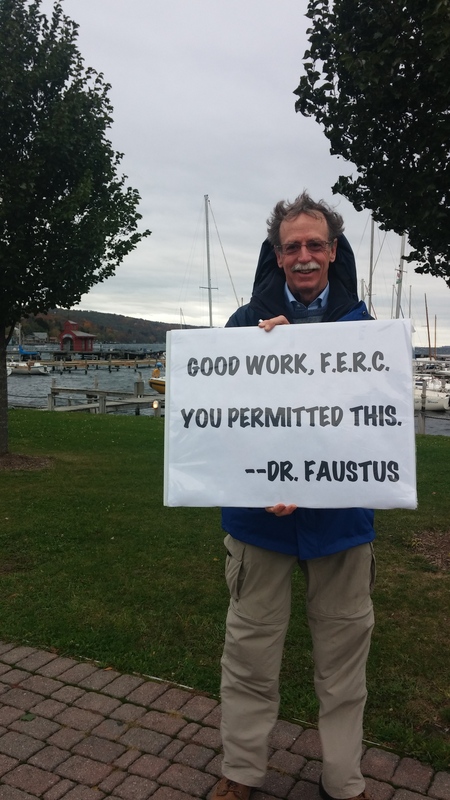 While the powers of Reading and Schuyler County have realized that sending the We Are Seneca Lake protesters to jail is costly and only fuels our movement, many in my activist cohort believe that Judge Berry’s hesitance to sentence me runs deeper than that. They joke that he sees me as an incarnation of his own young granddaughter, who, according to Berry, refuses to speak to him when he sends people to jail. Before myself and my comrades began lining up in front of Crestwood Midstream’s gates on Route 14 just north of Watkins Glen, I never put much thought into the area jails. I had no clue that there was a jail in Watkins Glen right across the street from the picturesque state park, and I admit to not even knowing that there was a jail in each county. Now I find these various jails to be at an almost constant forefront of my mind. Ithaca College distinguished scholar-in-residence Sandra Steingraber was released from the Chemung County Jail at about 12:20 a.m. Thursday, according to her spokesperson.